Americans might as well be speaking a different language. I learnt this the hard way (as Genie of Bunny. Eats. Design. reminded me) when I blindly followed a recipe for chilli sin carne, and dutifully emptied two cups of tomato sauce into what, up until that point, was a delicious pot of beans and vegetables. In case you were wondering, what we call tomato sauce is similar to what Americans would call "ketchup". My promising meal became a disgusting, sweet and sickly mess. tomato sauce ketchup Seasoned tomato purée - sweet and tangy, frequently eaten with hot chips and burgers. pasta sauce tomato sauce Seasoned tomato purée - savoury, frequently eaten with meatballs and pasta. scone biscuit Soft quickbread made of flour and baking powder or soda, frequently eaten with butter and jam. biscuit cookie Sweet, hard and dry baked product, with many variations, such as chocolate biscuits and gingernuts. jam jelly Sweet spread or preserve made from fruit and sugar boiled to a thick consistency. jelly jello Translucent fruit-flavoured dessert made to set using gelatine. So What's an Egg Roll? It wasn't until I tried to look for a recipe for "egg rolls" that I realised how many different things the term can mean. Suppose I tell you that I am going to be bringing egg rolls for shared lunch tomorrow. What would you expect to see? 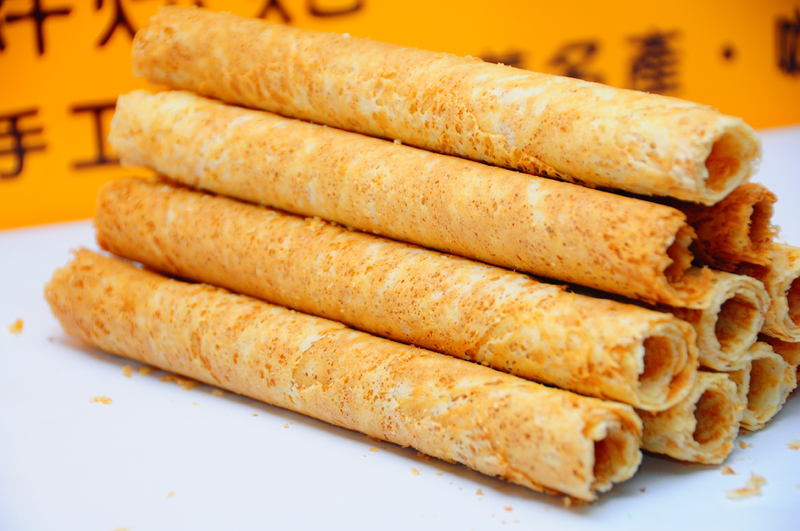 Something sweet or savoury, crispy or soft? 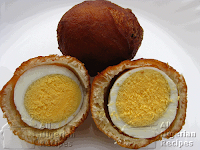 Cooked egg (boiled and mashed, or fried) in a bread roll, which has been sliced in half. Maybe something like a bacon and egg roll, minus the bacon. 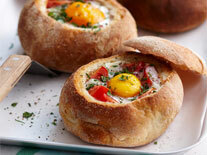 Cooked egg (baked whole, or mashed) in a hollowed out bread roll. 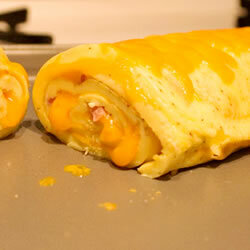 An omelette which has been rolled up, with or without a filling such as meat and/or vegetables. 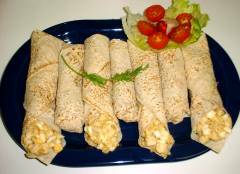 A spring roll, which became popularised as egg rolls in America. According to Dear Dim Sum [Updated 22 June 2016 to remove broken link to http://deardimsum.com/2011/04/12/spring-roll-or-egg-roll-%E6%98%A5%E5%8D%B7%E8%BF%98%E6%98%AF%E8%9B%8B%E5%8D%B7/], spring rolls are those of the soft rice paper variety to Americans, but I'm not so sure—spring rolls are always deep-fried variety in my book. Otherwise, they would be called summer rolls or fresh rolls. Fried egg wrapped inside a paratha flatbread, a street food originating in Kolkata, India. 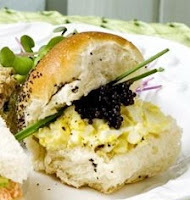 Chopped boiled egg, rolled up in sandwich bread, like an asparagus roll. Hard-boiled egg, wrapped in flour and/or meat and deep-fried, similar to a scotch egg. The Nigerian version is sweet. 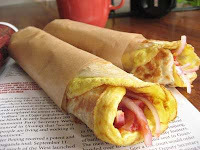 My New Zealand workmates had no idea what an egg roll was, but suggested it could be like an asparagus roll (G. above) or perhaps a bacon and egg roll without the bacon (A.). Americans I spoke to didn't think they could mean anything other than spring rolls (D.). To be honest, the first time I heard of the spring roll meaning was when I tried to google "egg roll recipes", so it's surprising to me how difficult it is to find anything about any other kind of egg roll. 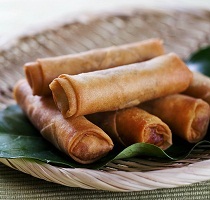 What does an egg roll mean to you? Are there other meanings than what I have listed above?